Jo's Devotions: What do you think of a nightclub for Christians? Colton Dixon is a talented singer from Murfreesboro, Tennessee. He first became known and widely loved by many when he was a contestant on American Idol during the 11th season. After finishing on American Idol in 7th place, Colton entered the world of CCM. His debut album A Messenger released in 2013, and his latest record Anchor has once again captivated listeners. “S.O.S” gets off to a very unusual beginning. It includes audio clips from Neil Armstrong, and Martin Luther King. At the end of the track the audio clips all blend together with vocals from Colton Dixon. “Our Time Is Now” begins with a very upbeat, rock feeling tempo. The song talks about how we need to stop chasing “everything that ends up leaving us dry.” As Christians we need to find our identities in Christ, and not in the things of the world that leave us empty. 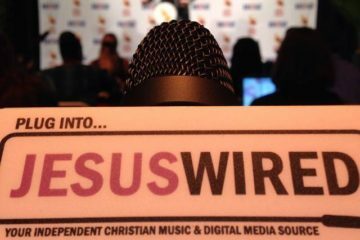 The song inspires listeners that now is the time to change our lives and live for Christ. 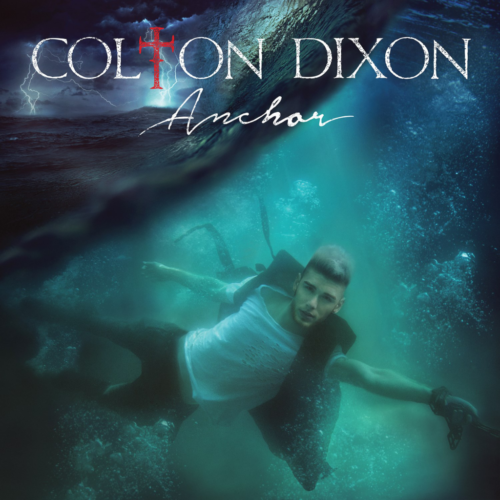 “Walk On The Waves” carries the sound and feel that is associated with Colton Dixon that everybody loves. The song talks about how we need to move past our past hurts and not let them get in the way of our faith. The song inspires listeners to take a step of faith, “walk on the waves” and put their trust and faith in God. The passion that Colton sings with penetrates the song. The title track “Anchor” is a very heartfelt, emotional piece calling out to God to be our anchor. The lyrics admit that we are not perfect. We need God to get through the trials we will face. “I see the danger//Can’t fight it on my own.” This is a great reminder for listeners to call out to God for help, and to admit we can’t do it all on our own. “Echo” is a very fun, inspirational song with a very unique and fun sound that listeners will enjoy. The song pays tribute to Colton’s first album, “…With my radio in tune, you are the song, you are the song.” Long time fans will smile during this section of the song because Colton simulates a radio playing, and the radio is playing his “You Are” single from the previous album A Messenger. “More Of You” is the first single from the album and rightfully so; the song carries so much encouragement and passion, and many listeners can relate to the lyrics. The song is a call out to God asking for more. As Christians this song should be our daily anthem, asking God to fill up our lives with His presence. “Through All Of It” is the current single from the album. The song is a great reminder for listeners that no matter what we are going through, God is always with us. When we go through really hard times, God is still with us. Through the good times, and the bad times, God will always be with us. “Limitless” is a great anthem for those who feel like they are never good enough. The song talks about how with God, and faith, we can do anything we put our minds to. Without God we will never go very far. “Doubt sees a mountain no way around it, faith sees a victory no doubt about it, fear sees the ceiling hope sees the stars, love be the light inside of our hearts.” These lyrics provide a really great illustration as to what we are capable of when we have faith. Overall Anchor is a timeless, phenomenal album that will inspire listeners to live their lives for Christ, and encourage them on tough days. Since his American Idol days Colton Dixon has grown so much as a singer and songwriter, and he has won many over with his inspiring anthems and thoughtful lyrics. Rebekah Joy is a contributor from Canada. Her favorite type of christian music is CCM/Pop. She is an avid concert goer, and loves all things christian pop culture. She is very involved at her church and loves spending time with her friends. She loves to travel and is currently studying Tourism Management at Brock University. Rebekah also speaks french fluently. Her favorite tv shows are Amazing Race, and Amazing Race Canada.